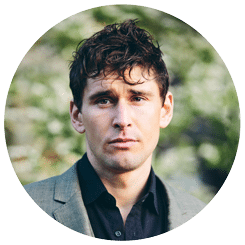 Join Ben Greenfield for an immersive health retreat Swiss Alps! 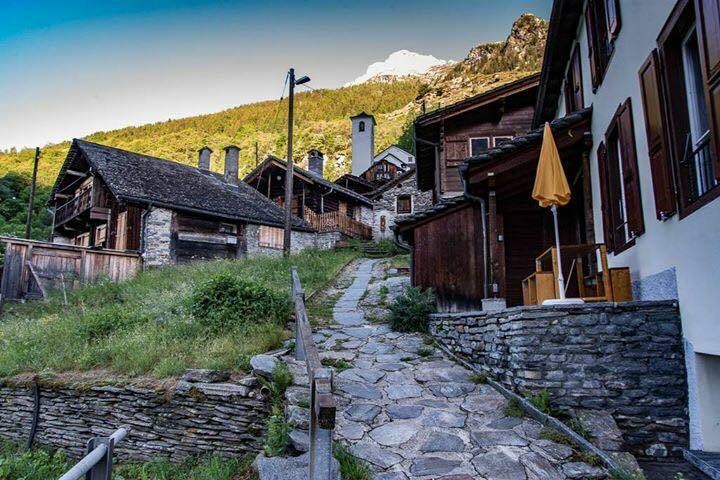 At this 2019 liver detox and R&R at the beautiful Swiss Mountain Clinic (formerly Paracelsus al Ronc) in the Italian quarter of Switzerland, you will stay on-site and receive diagnostics and treatments from the best doctors of biological medicine, to detox your liver and your soul. Plus you're going to have a wonderful time hiking, sightseeing and enjoying one of the most beautiful places in the world. Do you need a health reboot? Ready for some time away, in the most stress-free place on Earth? I have a very special secret to share with you. Perhaps Western Medicine has failed you, but you like the idea of MD’s running labs, overseeing your care, finding the root cause of the trouble. And addressing issues such as heavy metals toxicity, nutrient deficiency, or acidosis. Do you believe in the human body’s innate ability to heal? Do you believe that with some corrections, the right raw materials, and a deeply caring and knowledgeable practitioner, human beings are miraculously powerful and can re-balance and be well again? So does Europe’s “Biological Medicine.” The U.S. is decades behind, but our “functional medicine” movement is similar, though Americans wishing to practice outside “Standard of Care” face ferocious opposition in the Western medical monopoly. 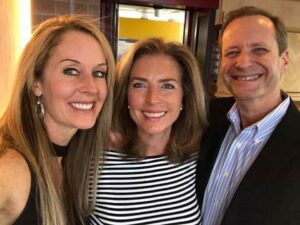 My friend “the GreenSmoothieGirl” online, Robyn Openshaw, who I interviewed here about her Swiss retreat and European medicine experience, flew to 19 clinics all over the world, on four continents, researching what the world has to offer in Medicine, outside drugs, surgery, and tech. 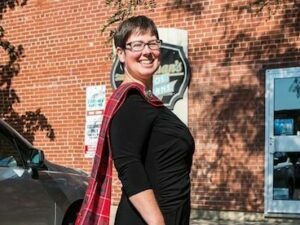 She researched what’s available, that works—that respects the human immune system, and works with it, instead of against it. She flew all over the world, researching, for 3 ½ years--so that she’d know where she’d send her own child, or parent, or herself—if needed. In 19 clinics worldwide, she found the “best of the best.” The most detailed, competent, personalized, affordable care—in a setting and facility that’s so gorgeous it will take your breath away. If any of that resonates with you, and you have some health issues to work on, I’ve got three options for you. Because I believe in you. I believe your body wants to heal, and it can. I believe you can be whole again. For more information please enter your contact info and our concierge will be in touch soon. Robyn had been to beautiful places all over the world. Snorkeled and dived, swum and flown and sailed. Climbed, para-glided, hiked, and skied in some of the world’s most gorgeous scenery. None are so peaceful, healing, and beautiful as this charming clinic several thousand feet up in Castaneda, Switzerland. She’s adopted it as her second home and let me in on the secret. Now I’d like to take you there for 2 weeks! It’s the best-kept secret in the healing world, and I’m about to tell you about it. We WILL fill up for this retreat, so don’t wait to Swiss Mountain Clinic is the perfect place for R&R, but you’re also getting M.D.-supervised European holistic inpatient treatment and an amazing liver detox while eating clean food you’ll actually enjoy, prepared by a Michelin-rated chef. You’ll enjoy the company of other biohackers who want to improve their health, because we eat 3 meals a day together, and hike and see the sights! I’ll teach a class or two, so bring your questions! 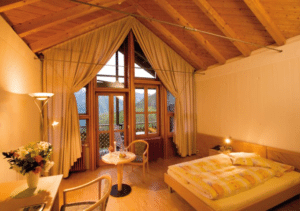 Swiss Mountain Clinic is a great place for absolutely anyone to recharge or restore health. During your stay, you’ll enjoy three daily gourmet, multi-course, detoxifying meals. The sunny dining room overlooks a precipitous drop into the river cutting through the valley, with snow-covered peaks in the background. Enjoy 20 diagnostic and treatment modalities during the first, liver-detox week, and more specific, personalized treatments your second week. 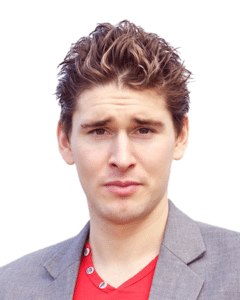 The clinic gives you a free Oligoscan ($350 value), just because you’re a friend of Ben Greenfield. In the second week, you’ll get hyperbaric ozone treatments, nutrient IV’s tailored to your deficiencies, full-body massage, and more. You’ll also get before-and-after live blood analysis, to show what you’ve accomplished in two weeks of R&R, beautiful scenery and vibrations, and treatment. 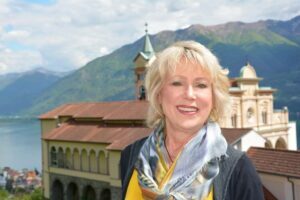 My podcast episode with Robyn Openshaw where I decide to go to Switzerland, for 2 weeks, and invite you! For those with significant illnesses, Drs. 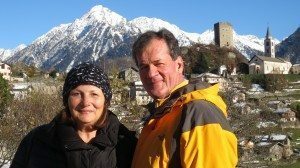 Petra and Friderike Wiechel, MD’s have tremendous success with cancer and neurodegenerative disease. Don’t wait for our 2019 liver detox retreat, if you are suffering with a significant diagnosis. Get the best price worldwide on a 3-week stay, less expensive than even the subpar Tijuana clinics Robyn Openshaw researched. When you apply, Dr. Friderike Wiechel, MD will schedule a personal Skype call with you. This special invitation, as well as a $2,000 discount, applies only to 3-week stays. 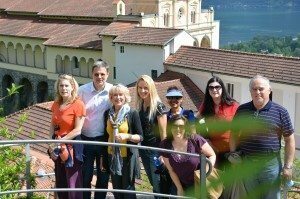 All of these three programs are administered in a beautiful clinic overlooking the Calanca Valley in the Italian Swiss Alps. This amazing place just might be the 8th wonder of the world, completely undiscovered by Americans when Robyn arrived in 2010. Be one of the few to find the most cutting-edge clinic of biological medicine in the world. Put your deposit down very soon, because this retreat will fill up! $9,300 per person based on double occupancy for two weeks, which is discounted $2,000 and gets you a $350 free Oligoscan test for heavy metals and minerals. $10,300 per person based on single occupancy. 2019 Dates: ONLY A FEW SPOTS LEFT! Please click here to assess the exchange rate for your currency. Included: pick-up and drop off at Milan Malpensa, room and board for 21 nights, all diagnosis, care and treatments at the clinic as well as medication taken during the stay. NOT Included: any external labs, extra medication/supplements prescribed for after the 3-week stay, or followup consultations the patient may request. Arrive at Milan's MXP airport morning of the first day. Depart late morning the last day. Participants are responsible for their own flight arrangements. Expect $1,000–$1,500 roundtrip from USA. Transfer from airport is free if you arrive and leave with the group on Sundays, otherwise there is a $270 transfer fee to or from the airport. No additional costs except spending money for shopping, and optional supplements you may be prescribed. Please enter your contact info below and our concierge will be in touch soon. 1) More labs can test deeper levels of nutrition deficiencies, gut permeability and health, detoxification pathway blockages. 2) Live blood analysis before-and-after is possible in a two-week stay. You will be astonished by the evidence of the effects of your lifestyle, as a skilled MD examines and shows you one drop of blood under a high-powered microscope. You’ll be amazed by what treatment for 2 weeks at the clinic can do for you, proven by the motility of your white blood cells, the shape and behavior of your red blood cells—not to mention the quantity and quality of dozens of other structures in your blood, including acidity, low oxygen, cell wall issues, bacteria, parasites, and more. 3) Hyperbaric ozone treatments: In this treatment, a liter of your blood leaves your body, is fully ozonated with O3, which kills bacterial, viral, fungal, and cancer cells. The procedure is repeated 10 times, in the easy, one-hour treatment. I have seen ozone treatments all over the world, but none so powerful and comprehensive. 4) Nutrient IV’s: a variety of nutrient cocktails can bring your deficiencies back up into the healthy range, intravenously. 5) Heavy metal chelations: supervised IV cocktails known to bind to specific heavy metals can be employed to reduce your toxic body burden, which is a common cause of autoimmune disease and cancer. 7) Neural therapy: Dr. Petra Wiechel is a renowned international expert in neural therapy, and I’ve seen her, with a non-toxic homeopathic injection, relieve pain in many patients, open up blocked energetic pathways (due to scarring, surgeries, piercings, dental work) and many other issues with her decades of skill and knowledge most U.S.-trained doctors have no knowledge of. 8) Homeopathics: Germany is the birthplace of homeopathy, and Drs. Friderike Wiechel and Petra Wiechel, both MD’s, will prescribe you homeopathic remedies unavailable in the U.S. that are highly effective without the damage or risks of drug treatments. 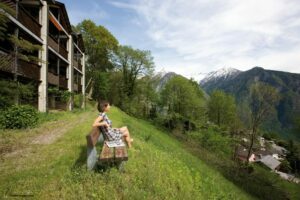 Swiss Mountain Clinic is a great place for anyone to recharge or restore health. You can rest in your onsite room, between treatments, which is part of what makes this whole experience so healing. One side of your bedroom is entirely windows, with a private deck and lounge chairs. Every room has the amazing view, and so do treatment rooms! Daily hikes discover the ranging goatherds, springs of mineral waters, grottoes and tiny towns, and pristine Alpine wilderness. The therapies assist your body’s processes in purifying and rebuilding. You’ll receive tests of the health and strength of your organs, adaptive and regulatory systems, nutritional status, and other functions. You don’t have to have to be ill to benefit from a stay here. The Wellness Retreat and Liver Detox includes your room, 3 special meals daily, and daily treatments and consultations. You’ll leave feeling fantastic! Food is made on-site, and is organic, high-fiber, alkaline, and easy to digest, while your body prepares to eliminate crystalline structures in the “liver flush” before they can do harm (part of the protocol). You’ll be gently guided with surprisingly delicious, vegetable-intensive meals towards the liver flush at the end of the week. You’ll go home with a significantly rehabilitated liver and gall bladder. The clinic owner, good friends of mine, will take our group for sightseeing excursions at some beautiful, fun locations. You will want to take hikes in the morning, right outside the door of the clinic, and enjoy the most amazing scenery you’ve ever seen, including waterfalls and quaint villages. It’s easy to spend more than this on a cruise with no health benefit besides the R&R. 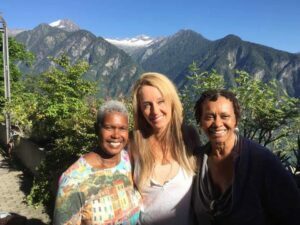 I am so pleased with the value received at Swiss Mountain Clinic—a vacation and health reboot all in one. There are only 21 rooms available, so I expect this retreat to fill up. Reserve a spot with a $1,000 transferable, but nonrefundable deposit, since we’ll be turning others away. If you are not accepted for some reason, your deposit will be promptly refunded. 2) They work more hours than the French, but they get outside, and they walk. A lot. Sometimes uphill. 4) They tolerate little drama. They’re prompt, efficient, and discreet people. 5) They don’t think that homeopathic, or natural, medicine, is for weirdos. It’s often their first line of defense. 6) Since everyone eats moderately, and walks a lot, being overweight has not become the social norm. Let’s learn together, enjoy each other’s company, and you’ll literally SEE the difference in the health of your blood (using darkfield live blood analysis), from your intake to your final exam. I go home feeling like a million bucks every year–come join me next June! I have had the privilege of being Guest Faculty at a few 'Detoxification' Centers and/or Health Resorts over the years. They all have their strengths and areas of expertise. 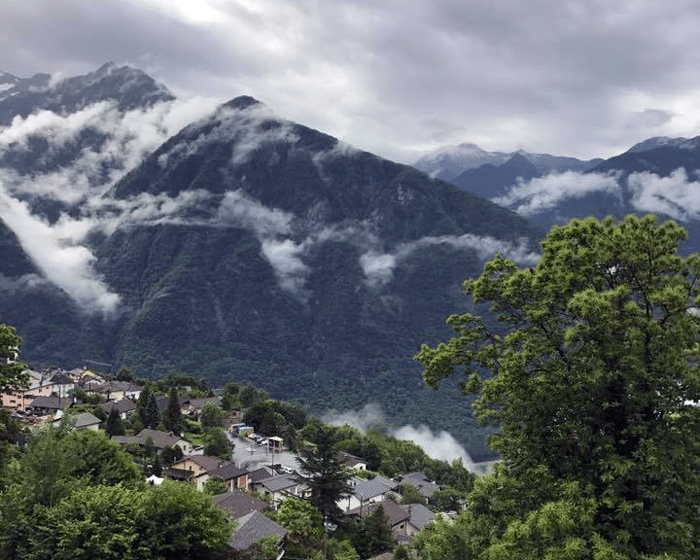 Paracelsus Clinic al-Ronc in the spectacular Swiss Alps is by far the most comprehensive center to address health concerns in a systemized, effective, stress-free manner that allows you to relax and let your healing energies flow. And surprisingly, every meal was a destination-restaurant-quality meal, irrespective of which food plan you are on. The Medical Faculty are 'cutting-edge' in their knowledge. And the Support Staff are extremely professional and kind as they take you through the protocols prescribed to address each individuals specific Program. First-Class in every way. I send my own family to this clinic, now! Paracelsus Clinic Al Ronc is a great place to go for the liver and gallbladder cleanse or detox program. 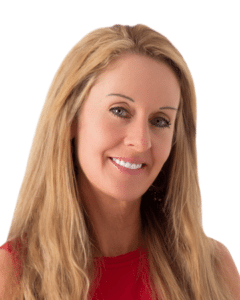 Dr Petra, and her staff, are very compassionate and care very much for the health of each patient. Schedules for each program are well managed and structured but leave time for other activities like sauna, yoga, naps, reading, hiking, etc. Another great thing about the clinic at Paracelsus is that you are among like minded people that are working to improve their health. Getting to know Robyn is a bonus to the program. She is genuinely interested in and engaged in the care of each patient making sure all goes well to the best of her ability. We recommend this retreat for anyone wanting to improve their health. You will leave feeling revived and much more knowledgeable about your health and how to continue the healing process. A year ago I developed not only a serious skin condition, but also food intolerances to food necessary for good health and balanced nutrition. The only option the medical community offered me was drugs, steroids, avoiding the sun, and avoiding healthy food. In my search for alternative ways of healing, my friend, Ella introduced me to Robyn, the Green Smoothie Girl. 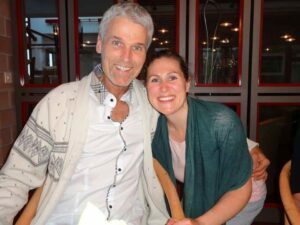 Through Robyn I learned about her liver detox week at Paracelsus Clinic al Ronc in Switzerland. An unanticipated visit to this phenomenal homeopathic medical center became a reality. They were able to pin point the source of my intolerances, provide me with the correct detox and treatment plan, and help me through an intensive medically supervised liver detox. Paracelsus Clinic Al Ronc was a lifesaver for me. I have closely followed the protocol that the Clinic sent me home with. I am today enjoying the local life-giving rays of the sun, allergy free, and able to enjoy healthy nutritious meals. Thank you Paracelsus and thank you, Robyn! The Medical Faculty are 'cutting-edge' in their knowledge. And the Support Staff are extremely professional and kind as they take you through the protocols prescribed to address each individuals specific Program. First-Class in every way. We'll be back! Attending al Ronc was an experience of a lifetime. As my husband attested, he gave up his week of Italian food and wine we’d planned for afterwards in favor of extending our stay at al Ronc. And it was exceptional. Dr. Weichel not only is a world-class clinician, but she also cares tremendously and compassionately for each patient she sees. This care and compassion is also reflected in her staff as they cared for us through the many different treatment modalities offered. Al Ronc is the perfect place to unplug and truly find rest. The setting is a serene mountainside nestled between two 13th century villages. Options for scenic walks abound right outside the front door of the clinic. There was a healthy balance of treatments and down time to enjoy the outdoors, go on some great hikes and field trips with Ulf, make use of their sauna, or do nothing at all. All meals are provided and deliciously prepared by a Michelin rated chef right at the clinic and whether you’re sitting on the deck off your bedroom or off the dining room-you are surrounded by breathtaking scenery. As much as I loved attending, I am deeply grateful for the diagnosis, ongoing care, and motivation to help get us to a healthier place. I can’t wait for the next visit! 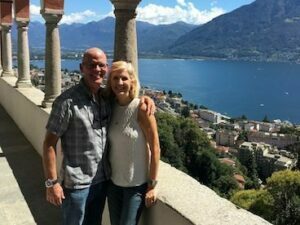 So take my review with a grain of salt, because I'm the guy that went to put up with a week of detox with my wife in the Swiss mountains so we could "re-tox” in Italy the week after! We completed the liver detox protocol in the first week and I felt so much better I agreed to cancel the Italian "re-tox” and stay another week at the clinic to start some heavy metal detox. Dr. Petra and her staff are incredible. She's very knowledgeable, has been working in the field for 25 years, and takes a sincere interest in you as a person. I found her explanations, write ups, and blood work/ testing very thorough. I feel like I got a complete review of my health and the underlying causes in a way I couldn't in America. She was able to diagnose some significant health issues I needed to pay attention to that I was completely unaware of. It really did exceed my expectations. The view off the balcony is phenomenal! There’s a lot to do--hiking, sightseeing, and you get a local tour guide with Petra's husband, Ulf. The food is good (once you get over giving up the cheeseburger, French fries and a chocolate shake). I wouldn't have thought you could make vegetables taste that good. There's a beautiful town directly above the clinic that you can walk through and see the church tower and tremendous "the hills are alive" view of the valley. Robyn does a great job of integrating you with the facility and staff since she's been there frequently in the last few years and understands the procedures. On a personal note, Robyn was also really good about putting up with my "all things in moderation" speech! I really enjoyed my time at al Ronc. My time and experience at Paracelsus Clinic Al Ronc was like none other I have had before. All of the staff took such care of me. I felt like a person, not a patient, which was such a wonderful feeling. All of the food was amazing. The kitchen and serving staff do a fabulous job of preparing and presenting all of the food. The facility and its location are far and away above any I have been to before. The fresh air, the mountains, the clouds, the church bells, and the wild life all helped me to relax and unwind. The Liver Cleanse has given my body a "reset" to a healthier place. I learned so much both at the Clinic, as well as through the pre-arrival diet. My body is now functioning at a healthier level. I have kept certain liver cleanse foods in my diet as my body craves them. 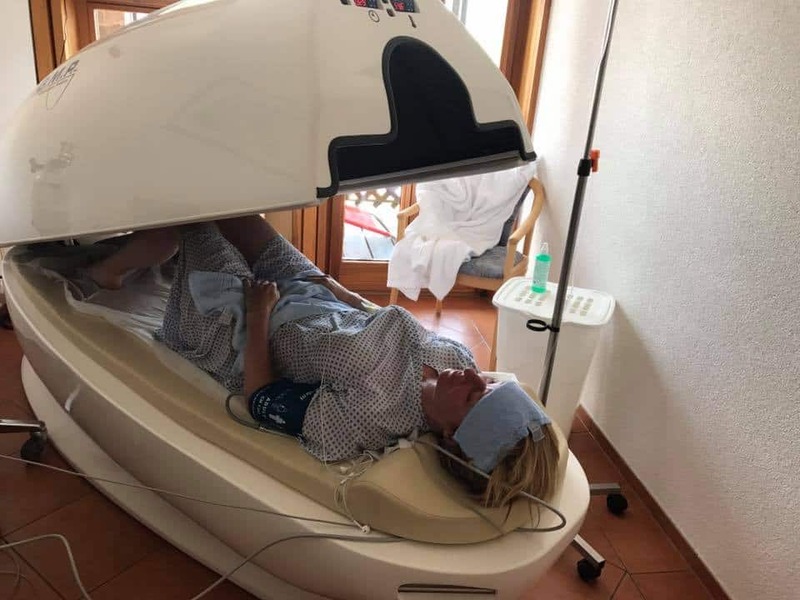 I have never felt more at peace, grateful, and truly connected and healthy in body, mind and spirit than when I was in Switzerland at Paracelsus Clinica al Ronc. Although I was far away from home, I felt so at home at al Ronc. Everyone there is so warm and open and welcoming. Everything they do is to help you feel comfortable, safe and happy, be it serving you some of the most delicious meals I've ever eaten or inserting a needle in your vein for an IV mineral infusion or getting a massage or enema or any other amazing type of treatment they have. Everything is done with love and kindness and with a sincere desire to help you heal in body, mind, and spirit. Everyone is very well trained and works hard to find the right care and solution for you as an individual. 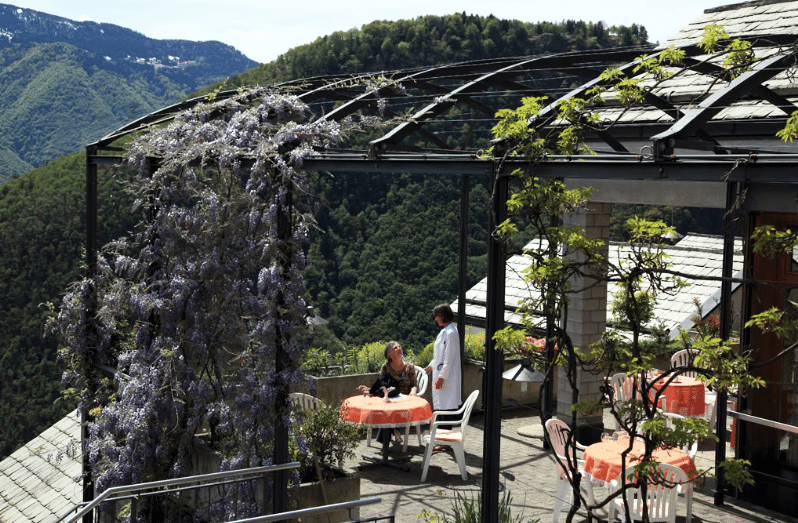 The atmosphere alone, the breathtaking view of the Alps, not to mention the flowers, trees, and gardens so well maintained around the clinic area itself all bring peace and healing just by being there. Although it was fun to go off on excursions into some local towns and do some sightseeing and such, often just being at the clinic and having time to myself to rest and relax to think and feel was by far my most favorite place to be. That and going on some early morning hikes in the area! Anyone who is looking for an opportunity to find true healing in body, mind and spirit should definitely find a way to go spend time at al Ronc. I'm already planning for when I can return again! Cheryl and I were very pleasantly surprised from our two weeks with Dr. Petra Wiechel and the Paracelsus Clinic al Ronc. Cheryl and I are active, fairly healthy, and 63 years old. We learned so much about ourselves and our health. 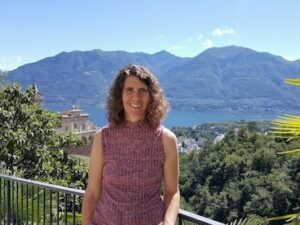 What started out as a learning experience to help Cheryl with an autoimmune liver disease, quickly turned into a holistic ("biological") approach to life. 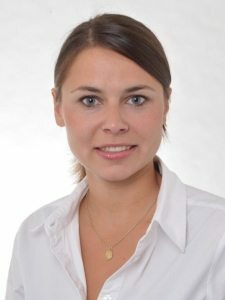 Issues dealing with prescription medications, cholesterol, high blood pressure, arthritis, gout, weight, and energy were quickly and often discussed with Dr. Petra and her colleague Dr. Shultze. Rationale, lifestyle changes, and organic supplements were discussed and implemented. In the three weeks since I started the liver detox at Paracelsus Clinic al Ronc, I have lost 15 pounds, eliminated the statin drug, have lower cholesterol and blood pressure (latest reading of 110/70 is the lowest in many years), plus I have more energy than in years. We loved the clinic. Our experience was greatly enhanced however, by the GreenSmoothieGirl group you assembled, by you sharing your knowledge and experiences, and by biological doctor Jared Nielson from Heber City Utah in attendance. I would recommend this experience to anyone, and suggest the experience is enhanced by having other GSG participants in attendance. I arrived at the clinic without hope or a future, with Stage 3C colon cancer. After I spent two weeks there, I felt wonderful and strong. My spirits were high and I was able to cope with my cancer. Going back several months later, I completely trusted Dr. Petra and personal care for me around the clock by all staff, their followup on my wellbeing and my file. I always leave for home feeling strong. I am planning to run a 10-mile race in just a few weeks! 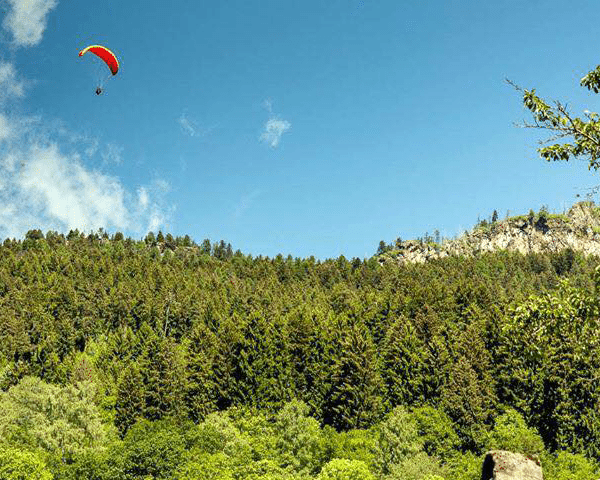 Paracelsus Clinic al Ronc is a place where you can find peace and tranquility above a beautiful, secluded valley, in the snow-covered mountains. You feel like you are suspended between Earth and Heaven. I went to Paracelsus Clinic al Ronc for the Liver Detox program. I do a detox somewhere, every year, so when Robyn organized this trip, I decided to follow. How was my trip? PHENOMENAL. For one thing, the scenery, OMG! 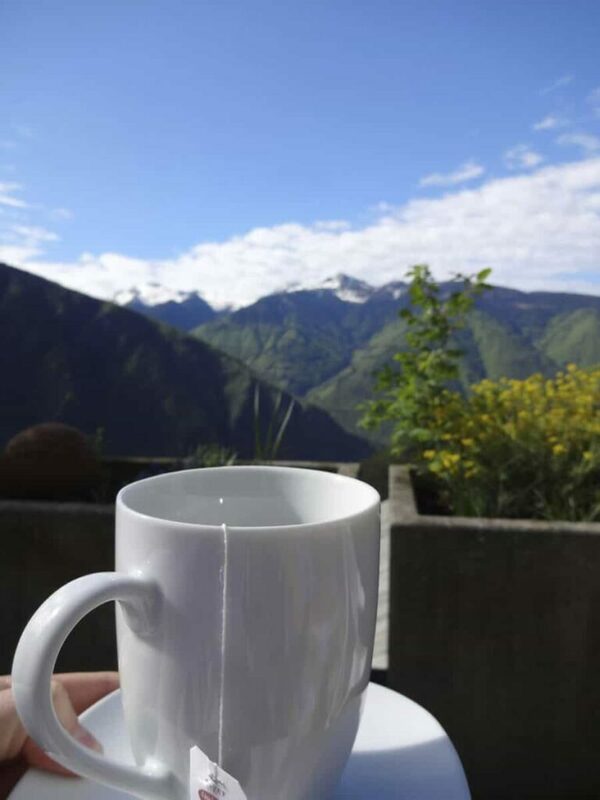 Every morning I woke up to a perfect view of the snow-capped Alps. Breathtaking! I came home in better physical shape thanks to the hikes. Second, the food---no detox program I’ve done before actually had good, let alone delicious, food! Everything was organic, grass-fed, local-farm-produced. I know, because I went in the kitchen and investigated everything! Each meal was served as though we were at a gourmet restaurant. We had a dozen fruits, and over 30 different vegetables! Sprouts, chestnuts, gluten-free, yeast free breads, goat and sheep organic cheeses. Forty different treatments! What did I accomplish, going all this distance? The difference here is that they cleanse , and then they REHABILITATE. In the past, I got a cleansed liver, but the 40 treatments will help the healing continue. I highly recommend this program, an amazing value. The healing and quality of care I received during my stay at Paracelsus Clinic al Ronc was like nothing I have ever experienced before. Every detail was taken care of from the time we landed at the airport in Milan to the time they dropped us off at the airport two weeks later. We were fed and nourished, rested and relaxed, healed and revitalized. In fact, I felt so well taken care of that I didn't want to leave when it was time to go home. To remedy that I am planning a return trip in a year– next time with my husband. I won't allow him to miss out on this incredible experience. Besides being spoiled with the close proximity of my room to the treatment rooms, (where I would walk a few steps for my daily appointments), I enjoyed the same spectacular and serene view in the treatment room that I enjoyed in my sleeping room. It was so great to be massaged while looking at the peaks of the Swiss Alps. And not only did it LOOK beautiful, it FELT relaxing, mainly I think because of the positive attitudes of the staff and practitioners. (Not what you'd find in your typical clinic or hospital, that's for sure). They were friendly and happy and I could tell they enjoyed their work. They were never rushed or on edge– just caring and competent with the few patients they worked with each day. 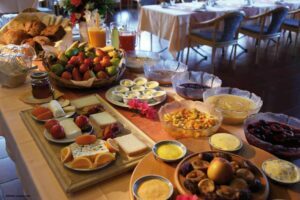 This relaxing environment of the people and the place, along with the various detoxification modalities employed, (not to mention the GOURMET FOOD), led to the healing I was hoping to receive. I was never stressed or wanting for anything. Indeed my body was in the perfect environment for healing, and heal I did. During those 14 days, every need I had was attended to in a kind and skillful manner. There was one particular night that I had muscle pains after a chelation treatment so I called the front desk and asked for help after hours. Dr Petra Wiechel brought a packet of magnesium to my room to replenish the minerals in my body and the muscle pains went away. The entire time I was there I trusted the holistic methods they gave me to work. Thanks to their detoxification protocol, I feel cleaner and brighter and smarter than I have in years. Not confined to a tight schedule, I had the independence to come and go (to the workout room, to the sauna, to the meditation room) as I pleased, but there was enough structure to make me feel accomplished by the end of the day. There was plenty of time to socialize at meal times and enjoy quiet time alone with a book in the forest. Perfect for extroverts and introverts alike. Even the need for entertainment and fun was met, with Friday evening concerts, gala dinners, and shopping and sightseeing excursions to the nearby cities. Paracelsus al Ronc truly provides the total package. They have the stunning beauty of a world-class resort, superior competency and care, and the latest and greatest in biological therapy. I can't recommend this place enough! Go as soon as you have the chance. I'd been wanting to do a cleanse for some time. 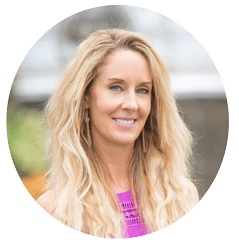 I chose the liver cleanse at Paracelsus Clinic al Ronc solely based on Robyn's recommendation because for me, that was all I needed. 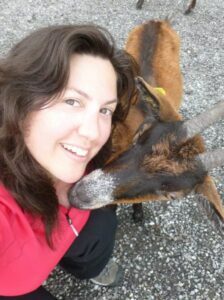 I had been to one of Robyn's talks and knew of her dedication to holistic methods. She saved me from having to do the research on my own. I knew I would not be disappointed. Paracelsus Clinic al Ronc was all that I hoped it would be. I do not know that I'd be able to duplicate the experience anywhere else, especially in the areas of food quality and adherence to holistic principles and treatment methods. We all loved and benefited greatly from the expertise and compassion of Dr. Wiechel, Naturopath Anila, and all the therapists. The facility was beautiful and made the treatments and cleanse so convenient and easy. My room was wonderful and as promised, did not feel at all "clinic-like". The view never disappointed. Best of all, I returned home feeling refreshed, renewed and committed to continuing on the healing path that got a great jump-start while at Paracelsus Clinic al Ronc. Paracelsus Clinic al Ronc is a paradigm of healing, love, science, and hope. That’s such strong juxtaposition with a medical establishment pimping orthodoxy, profit, and greed. 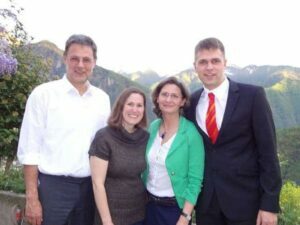 Dr. Petra Wiechel and her family have created an oasis of peace and health in a superb clinic that spills 7 stories down a steep mountainside, amid the most spectacular scenery and freshest air in the world.Each room is warmly decorated and has an optimal view of the valley. The food is fresh, imaginative, delicious, and customized for your program. The Wiechels have set a tone of love and peace that infuses the staff and guests. Facilities and housekeeping are first rate, and most of all, Paracelsus Clinic al Ronc is reasonably priced compared to most clinics where there is often shameful gouging of frightened terminal patients. I was subjected to comprehensive testing, diagnosis, detoxification, oxygenation, and myriad treatments tailored to my condition and my schedule. I returned home revitalized and buoyed by my experience, and deeply grateful. Ready for more info or want to reserve your spot now?